For those who enjoy an ice-cold Diet Coke during lunch or at work, the once-popular product may never be seen again in the future due to drinkers of the nostalgic refreshment becoming extinct. According to Coca-Cola, their Wednesday earnings report shows a seven percent decline in consumer purchases over the last financial quarter. 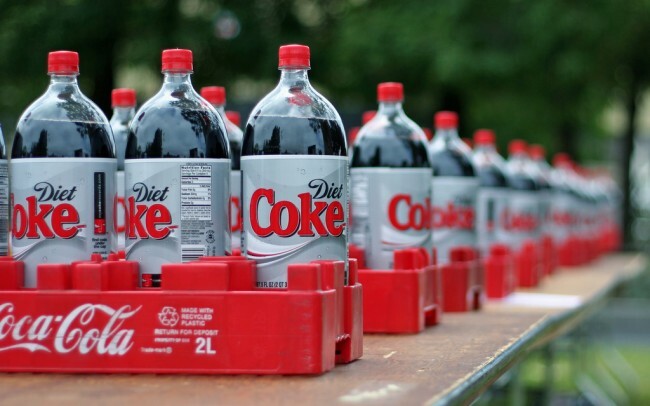 Business experts claim there has been a negative trend in the Diet Coke market over the last 10 years. Though, people do not seem to be shying away from low or no calories soft drinks from the beverage giant. The report showed Coca-Cola’s Coke Zero gained six percent in the last three months. Considering this nearly made up for its calorieless rival, it may be the fact that people are having a change of heart when it comes to their soft drink of choice. The artificial sweetener aspartame could be the arbiter of the Coke exodus. Over the years, doctors have claimed that the sweetener can cause some health risks when taken in excess. However, aspartame is found in the Diet Coke and Coke Zero. Therefore, could it be the taste that is causing consumers to ditch the diet?